Bratstvo (Brotherhood) is an upcoming war time film from Pavel Lungin (Tsar, Queen of Spades). Elsewhere in the world we will find on the international market as the rather blunt Leaving Afghanistan. A trailer has been released for Lungin's flick. Check it out below. 1989. The end of the Soviet-Afghan war. The USSR begins its withdrawal from Afghanistan. 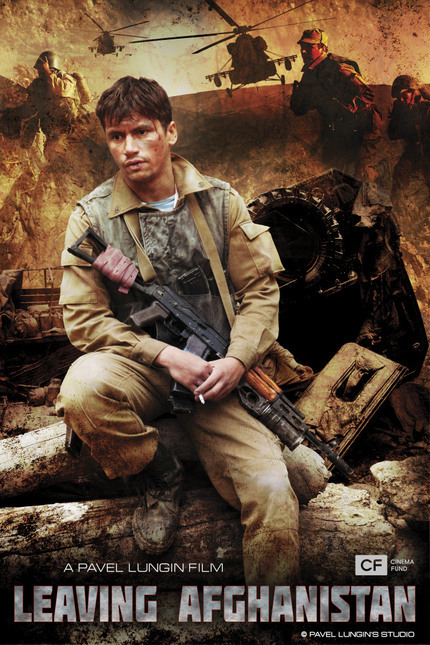 Soviet General Vasiliev's son - a pilot named Alexander gets kidnapped by the mujahideen after his airplane crashes. As a result the 108th motorized infantry division's long awaited return home gets put on hold for one last mission: bring the General's son back. Based on true events the previously untold story of the courageous and tragic withdrawal campaign (through the Salang pass) reveals the danger the horror and the complexity of human nature during wartime.